Adding 2D and 3D graphics, statistics of the best baseball players or a virtual election studio. In order to enrich their broadcasting in the computer with similar elements, broadcasters need to decompress video from the IP infrastructure using a special hardware decoder. Typically this process is not only bulky, but also costly. There’s a solution to this problem, though – just add Comprimato’s JPEG2000 software codec directly into your computer‘s video-editing program. We’ve just applied a similar solution in a new partnership with the world’s leading media tools provider, Vizrt. The Comprimato JPEG2000 codec will now be available to the thousands of users running Viz Engines. Viz Engine is a powerful rendering engine and a real-time video/graphics compositor commonly used by large TV networks. It renders animated 3D scenes in real-time, producing high-end animations in HD, 4K and beyond. Vizrt showreel from Vizrt on Vimeo. Large broadcasters generally build their video infrastructure on IP-based transfer mechanisms based on the SMPTE 2022 standard. The core technology for IP-based systems is the JPEG2000 format which saves costs by significantly reducing bandwidth and enabling more parallel streams. 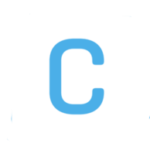 JPEG2000 is a wavelet video compression standard created for high quality media compression. It allows for a better quality-to-file-size ratio and better support for new image technologies such as Ultra HD or 4K, HDR, and a high frame rate. The video stream, being in a compressed JPEG2000 format, flows through the IP infrastructure of the broadcaster. Before it is even possible to connect the stream to video-editing software (for example Viz Engine), it needs to be decompressed. A special decoding device is used to handle this conversion. The decompressed video is then transferred to a computer equipped with an SDI board, at which point it can begin to be edited. ■ First, the JPEG2000 video from the broadcaster’s IP network had to be decompressed using a special hardware decoder and SDI video interface installed on your computer. ■ After that Viz Engine provided animations, video editing, 3D graphics, and other tools. ■ Then the hardware encoder had to convert the video back into the JPEG2000 format. ■ Only after the video had been encoded could it be sent back to the client’s network. ■ Simply put, your computer needed not only a JPEG2000 hardware decoder but also a certain type of SDI board. The result was far from cost-effective. These two components can end up costing over thousands of dollars. And that’s the problem. 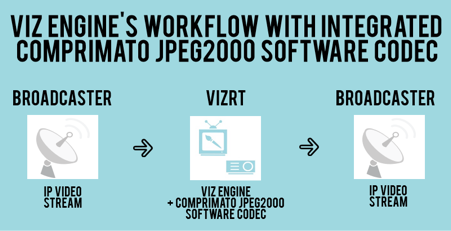 After adding Comprimato’s JPEG2000 software codec directly into Viz Engine, the whole process becomes cheaper and more flexible. Viz Engine is able to receive the video directly from the broadcaster’s IP infrastructure, process it instantly and export it back into the IP network as SMPTE 2022 compliant stream with no need for additional hardware. All you need is an ordinary computer equipped with a graphics card. In addition, the Comprimato JPEG2000 software codec is a simple software update for Viz Engine. All the user needs to do is update the software. 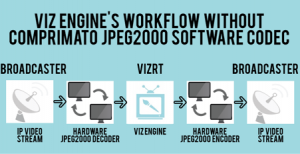 Newly sold and installed Viz Engines already contain the Comprimato JPEG2000 software codec from the very beginning. ● Integrating Comprimato JPEG2000 software codec into Viz Engine enables a direct connection to the broadcaster’s IP network. It also removes the need for a hardware converter while editing the video. ● As a result, video processing is cheaper and much more flexible. ● This solution saves thousands of dollars on hardware costs.